It turned out that my flight to Chicago this morning on United Airlines was oversold and three volunteers were needed. After some negotiation, I offered to give up my seat, despite the meager $250 in compensation being offered. But then my new routing options were laid out, options and inflexibility that get to the heart of what is wrong with the merged airline. I also do not like being lied to. Let’s recount my conversation at Gate 62. ME: I understand you are looking for volunteers today. What’s the offer? AGENT: $250. Where you headed? ME: Frankfurt. Only $250? You’re not getting a lot of takers. How about you up the offer a bit? AGENT: No. The system does not allow it. I can’t. ME: Well, okay—so how would you get me to Frankfurt? ME: You do know I am on a business class ticket, right? AGENT: Yes, but United business isn’t our business. We only have a two-cabin product called BusinessFirst. It’s like first class. You cannot have that. ME: Actually I’m on an award ticket booked into business class—not upgraded. Your BusinessFirst product books into the same booking class. Second, if you want to get technical, I am flying in US Airways Envoy Class, a joint-venture partner—so you would share the revenue anyway—and a carrier that also has a two-cabin product, with a wonderful refurbished business class with even better seats than Continental. AGENT: Let me see (types on her keyboard). You’re on an award ticket—I can only get you coach. ME: Correct–just book me in I-Class, or if there are no seats left, you can book me in J/C/D. AGENT (gasping): We can’t do that! ME: You can pretty much do whatever you want during irr/ops—if you really need my seat, you can book me through Newark in whatever booking class is available. AGENT: No, you’re wrong—I’ve been doing this for 20 years and that is impossible. ME: I’m not going to pull rank on you, but I’ve been a United 1K for six years and this sort of thing happens all the time. Of course you can do it—the question is, are you willing to? AGENT (knowing I know what I am taking about): Well, I am not going to do it. I’d rather IDB people and give them the cash then give you the seat. You are booked in business class and I won’t put you in BusinessFirst. United has three cabins, we only have two. [why does she keep saying this?] But you can pay the difference in fare if you want the seat. ME: What do you mean the difference in fare? I’m on an award ticket—I paid with miles. AGENT: The fare is $16,432 and you paid 427…it looks like Pounds, so if you want to pay the difference, I can put you in BusinessFirst. Otherwise, it’s coach. ME: I’ll speak to your friend over here (motioning toward a supervisor standing a few feet away). AGENT: Okay! Maybe he help you, but I can’t do it. ME (to Supervisor): I understand you need a few volunteers on this flight and I am willing to give up my seat. Your colleague is only offering economy class to Frankfurt and I am on a business class ticket. SUPERVISOR: Let me see what I can do. (typing away furiously) No—there is no business class available. ME: I’m checking loads rights now on my iPhone. You can route me LAX-SFO-FRA, LAX-EWR-FRA, or LAX-IAD-FRA. SUPERVISOR: Those flights are sold out. ME: As I said, I am looking at loads right now and there is space. UA950 to Washington is F1, A1 and UA955 to FRA is C7. SUPERVISOR: But I can’t book you in full-fare. ME: You can, it just depends on how much you want the seat. 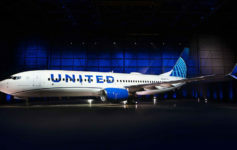 Do you want to save your company the cost of paying out cash to a person you are going to involuntarily deny boarding to, or just route me on United metal on seats that would go to upgraders anyway? SUPERVISOR: You have a point, but I just can’t do it. ME: Forgive me for saying so, but I am shocked. I’ve been flying United for eight years on a very regular basis and during irr/ops they can do whatever they want and aren’t questioned for it. Will you get in trouble if you book me into full fare? Why not just book me into business, then call inventory management to open I Class? SUPERVISOR: Well, irr/ops is one thing, but an oversell situation is another. I would have to answer for this. ME: I know UA overbooks a lot of flights, but can’t irregular operations be broadly defined to cover instances when there are more passengers than seats? Especially when you are under pressure to get flights out on time and these passengers (pointing to a couple nearby who were berating the gate agent I spoke to earlier) are supremely ticked off. SUPERVISOR (grinning): You better take this flight sir—I just cannot help you here. SUPERVISOR: Indeed, sir. Thanks for trying. I am not particularly angry at the gate agent or her supervisor. Unfortunate as it was that my flight happened to depart from Terminal 6, still manned by ex-Cons (who now have disturbing “X-Con” pins on their lapels), I simply received another dose of the Continental Airlines worldview and sadly an indicator of what may be in store for all United customers in the future. While United went after customers who broke the rules, Continental went after FAs who comped snack boxes or gate agents who upgraded passengers during irr/ops. United agents were empowered to take matters into their own hands (and thankfully, some of them still do) while Continental agents were afraid, very afraid, and consequently adopted an attitude that has driven so many people away since 3/3/12—an attitude that customers are inherently suspect, that upgraders and award travelers are leeches, and that it is better to take the easy way out (just IDB a few customers who don’t have seat assignments) then try to find a reasonable solution for a customer willing to give up his seat. I’ll save it for another post, but the very concept of IDB bothers me. If I were a regulator, I’d think about radically raising the minimum compensation levels for IDB, thereby forcing airlines to entice passengers with reasonable VDB offers. Giving a company the option to essentially unilaterally breach a contract would not fly in any other industry—it shouldn’t in the airline industry. Previous Article Return to Germany! Not that it matters much, particularly in terms of what you were trying to negotiate, but US is not part of the TATL ATI++ joint venture so there’s no revenue sharing there. Also, someone extolling the fact that it is a 3-cabin carrier would seem to be a legacy UA agent, not a legacy CO one, right? I’ve had plenty of legacy agents on both sides bend the rules and plenty who wouldn’t. Really just comes down to what they’re willing to do at that particular moment in time. Excons occasionally run gates in T7 and PMUA employees (with tulips on their uniforms) occasionally run gates in T6. While regulators could increase IDB amounts, I feel like I’ve heard too many horror stories on FT of COdbaUA not providing cash to IDBs and doing everything possible to justify handing out funny money. As long as swaths of passengers are uneducated about their rights, COdbaUA will not feel too much pain from an increase in IDBs. $250 to accept a downgraded cabin TATL? Ouch. Not exactly a tempting offer. Your points vis-a-vis CO agents’ fear of audit is valid, but I wouldn’t go so far as to impute a single representative’s ignorance to the entire s-CO side of the house. Further, how do you know passengers were IDB’ed on that flight? Is it possible that several people took them up on the $250 offer and simply caught a later flight to ORD, in Y no less? Moreover, I cannot agree that this situation qualifies as a meltdown. You made a reasonable attempt to assist with an oversale situation, but it is not out of the question for an airline to, a) prefer local pax over connectors when doling out VDB comp/bumps and b) decline to make an accommodation for a customer on a complicated multi-airline itinerary when it is likely that other, less ‘exotic’ alternatives are available to accept the change. I might even argue that the agent made the prudent decision. Anyway, keep up the good work on the blog. I think the short version is.. Neither of those agents is going to risk getting fired for overriding UA’s yield management system to give a 1k a $250 voucher and a reroute in international business when they could just call out for another $250 volunteer who’s flying a much simpler route. Logic has nothing to do with it. Would you risk your job for it? “United Business Isn’t OUR Business?” WTF. Yes it is. Unless I missed a memo in the last few months, US is NOT part of the JV, they were excluded rather obviously. The reality is that the agent, if they wanted to, could have opened up I and moved you into it. It’s not that hard. Unfortunately, most agents don’t know how to do that. I’ve had them do that plenty of times, but agent roulette is always at play. That’s COdbaUA for you – industry-leading IDB rates. UA irrops allowed me to endorse my ticket over to DL today. It was fantastic. Honestly. CO LAX blows, but I can say from experience the EWR CO Agents will rebook during oversells onto ANYTHING, including Amtrak and OAL. I even had one put me in PS First on a coach ticket. Pre and post merger. Isn’t there ONE United BusinessFirst product now? regardless of whether or not it is on a two- or three-cabin plane? As much as people will hate to hear it, this is just another example of too many Continental employees’ superiority complex over anything that is United. Matthew. Of course, you’ve been witness to the lying airline employee. For some, the lies are so frequent that one wonders if they even know what is the truth any more. I also love how they lie with a big smile on their face, looking at you right in the eyes. I think they see it as an integral part of the job because, as you put it, we are all suspect as no matter how much we have paid, it’s NEVER enough. This is the line being fed to them by management. WE ARE THE PROBLEM. Thanks all for your comments–I’ve edited my post to reflect that I incorrectly stated US is an A++ partner. Now I am embarrassed! @Gene: I was the second to last passenger to board. There were no volunteers. In that case, very strange that they would IDB pax with volunteers available, unless there were extenuating circumstances (e.g. two pax traveling together, one volunteer). @Matthew, your oversight actually it makes it even more entertaining. Since US is not a JV partner, and assuming the flights you had proposed on UA metal were not oversold, had they bumped you, they would have actually saved money by releasing the US seat, keeping the coupon, and flying you on home UA metal. I’m not sure what they pay for award seats (it’s probably not much), but it’s still cash. Matt, how did pre merger United go after customers whom broke the rules and what did they typically do? This whole episode of yours sounds silly. No way I would take a TATL downgrade from C to Y for a measely $250. Did you note the names of the employees involved. This sort of behavior warrants writing in to draw management’s attention. QUOTE: Did you note the names of the employees involved. This sort of behavior warrants writing in to draw management’s attention. Yes please send them to SMI/J he will probably give them a reward for his idea great service. Just wondering what you use to check flight loads on your iPhone? Sounds very much like conversations I’ve had at the podium in the past. Just wondering though: what do you use to check flight loads on your iPhone? @Marc: I use Expert Flyer’s mobile website.